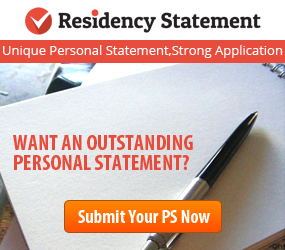 Letters of Recommendation have the ability to make or break your residency application. 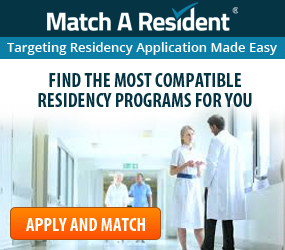 But don’t fear, whether you are a third year medical student just starting their clinical rotations, you’re applying for residency and just thought of Letters of Recommendation, or if you’ve been out of the field for a little while, there are ways to make this part of the application work for you. I will spare you the corny golf puns, but if you follow some of my advice your letters will be better than par for the course. Depending on when you are starting to think about LoRs, the Preparation step can take on a few forms. Early Birdies or those who are starting their third year of medical school, keep an eye out early on in the year for potential authors. Consider people who have your potential specialty. I know this is a lot to ask of you during such a busy time, but if you locate people now, you won’t have to scramble at the end, and BONUS: they’ll be able to get to know you much sooner. Let these chosen ones know your intention and follow up with them every once in a while to get their feedback. Those of you who are getting their applications ready right now and realizing you need to tackle LoRs, I repeat, don’t panic! Think carefully about who you’ve worked with over the years. It might even be a good idea to list them and how well they know you. You don’t have to just ask your direct supervisor, ask anyone who you’ve worked with and knows you. Once you know who you want to ask, approach them now and start the conversation. If you haven’t been in the field for a few years, it is advised you do some extra US clinical experience time to make sure you have an up-to-date reference for your LoR. 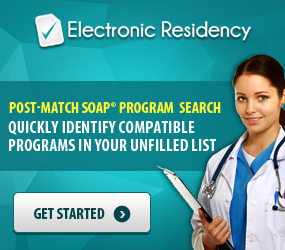 You can perform fresh rotations through sub-internships, externships or observerships as a last resort. Please bear in mind, many programs do not count observerships as US clinical experience (USCE). Anything that counts as USCE that you can draw out a LoR will help you in the long run. If you cannot do more USCE, but you are working in the field, think about asking your supervisors in your current employment. TIP: No matter how well you think someone may know you, make absolute sure they have the best and most complete picture of you. Set up a one-on-one meeting with them and bring your CV, resume, or anything else that helps highlight your accomplishments. Make sure you go through these items with them. A simple email asking them to read the documents won’t cut it! If you can’t meet face to face, arrange a phone or Skype meeting to talk. Now you have your authors in mind, but how do you Ask them in a way that benefits you both the most? If you are reading this blog and haven’t asked your authors yet, ASK NOW. The sooner you can ask the author, the better! They will need time to put together their picture of you together and to write. No one likes seeing a rushed little paragraph. You will want to aim for May to June to ask for your LoR since you will need it by September. This tip especially applies to anyone who needs their LoR from someone outside of the United States. Allow for plenty of time to work everything out. The main goal is to be polite and grateful, yet you need to be sure they have everything they need to write a positive letter. Doctors and administrators are busy people, with this in mind, it’s OK to ask them for LoRs. It’s part of their job and they expect it. It is also ok for you to ask them for some time to really talk about you and for you to give them everything they need. If and when you speak to your letter authors, you want to get two things out of it. 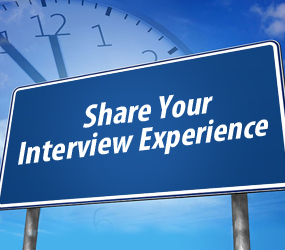 First, get their feedback on your performance and second let them know your expectations. Through everything you have given your author, you want them to highlight specific personal characteristics and accomplishments you have done. Ask them if you have exhibited any qualities strong enough to mention such as enthusiasm, confidence, teamwork, dedication, knowledge or commitment. If anything comes to their mind, ask or provide them with examples of when you demonstrated these traits. Ok, so you’ve prepared and asked for the Letter of Recommendation (LoR). Once the author has written the letter, we come to Receive. You may or may not have heard of your right to waive seeing your Letters of Recommendation. This means that you will not be able to see the LoR before it is submitted. There are many things to think about when you are deciding whether or not you should waive a LoR. You will have to think carefully if you want the chance to look at the letter, or if you trust your author enough to write you a well informed letter. Once the letter is written, the author will need to go to the LoR Portal on the AAMC website. Please realize, AAMC has made changes for the 2015-2016, it is important to familiarize yourself with what will be expected. Before submitting, the author will need an AAMC account and the Letter Request Form you received while creating your ERAS application. They also need to make sure the letter is in PDF format, on a letterhead paper, and less than 500 KB. NOTE: Each author will need a Letter Request Form specific to the application you want them to write for. Each form has its own ID number. It is important for you to know that ONLY the author or someone they designate (the designee) can upload LoRs. The one exception is if the student DOES NOT waive the right to see the letter. Meaning, if you have a letter in hand you can only submit it yourself by not waiving your right to see it. After you have followed up with your author to confirm they have submitted the letter, consider sending a Thank You card. A handwritten card is more thoughtful than a simple email. With that, you have some hints, tips, and suggestions for proceeding with your Letter of Recommendation. By being prepared, asking correctly and making sure you have received the best letter possible, you will have a much stronger application. If you or your author has any questions, you can either check out the LoR User Guide on the AAMC website and call 202-862-6264, or call Match A Resident at 760-984-5484 opt. 2 for free coaching.